You have no right. No one does. To anything. The right to marry, the right to adopt, the right to choose one’s gender, the right to one’s body, the right to free speech, the right to bare arms and the list of rights goes on. These and many other rights are part of the “rights conversation” which has been increasingly dominating Western politics and social order in recent years. This phenomena has not passed over the Jewish and Orthodox worlds, with woman’s communal roles, LGBTQ’s in the community, marriage postponement, family planning and other similar questions becoming the delineating lines along which Jews have come to define their religious orientation. And, as is happening in general society, the individual rights argument is playing an increasingly dominant role in these discussions and slowly transforming institutions and conventions previously unchanged for generations. Those trying to stand in the way of these changes find themselves, many times, defending Torah against the ‘rights conversation’. Some, attempt to reconcile the two by trying to prove how Torah’s ideals and guidelines are the true individual rights, while others try and explain how Torah defines these rights – or their parameters – differently. Until recently, I was a proponent of highlighting the rights of the community/Jewish Nation/Jewish People Throughout History, as opposed to the rights of the individual. Even so, I’ve always felt an uneasiness with these approaches, feeling they were more apologetics than anything else and lacked an independent, consistent, stance on the matters. I recently realized why we seem to be losing the battle – within our own communities. This is because in the way in which we most often discuss these matters we unwittingly accept the premise of the arguments we are trying so desperately to reject; that people have unalienable, immutable rights. Then the question just becomes – how far do those rights extend? There is little surprise, then, that the rights conversation continues to expand and eat away at social conventions that just a few years ago were almost unthinkable. Like many people, I simply knew something was “off” with the entire discussion but couldn’t put my finger on it. I think the reason for this is the degree to which we, in the Jewish and Orthodox world, are steeped in Western Civilization and therefore have difficulty drawing logical lines between “acceptable” rights and non “acceptable” ones. After searching for years for the elusive line between the rights which fit with Torah and those that do not and struggling with the troubling range left open for interpretation and personal biases, it finally came to me. It is still a working theory but here it is – I’m pretty sure Torah doesn’t believe in the concept of rights. I can’t think of a single case or example in the Torah where someone has an inherent right. To anything. It seems that whenever God spoke to people in the Torah it was to let them know what they are expected to do – their obligation. You, as a parent, do not have the right to be respected by your children rather, your children have the obligation to respect you. The two are not the same thing. I don’t have the right to live as much as you have the prohibition not to kill me (or the obligation to not let me die). The Jewish People don’t have a right to the Land of Israel, rather, we have the obligation to live in it, conquer and settle it. 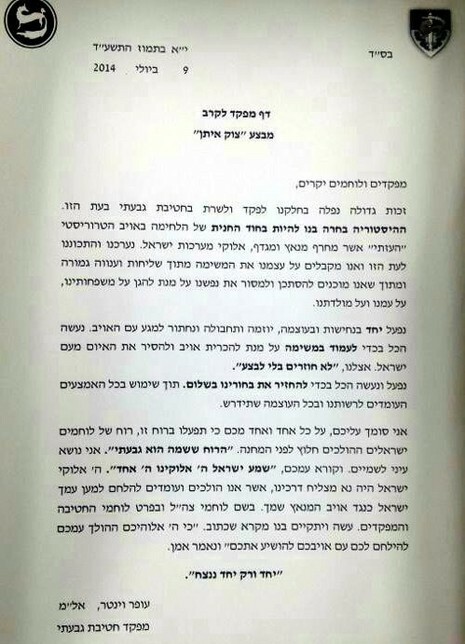 Kohanim don’t have the right to serve in Beit Hamikdash as opposed to non-Kohanim, rather they have an obligation to do so. The more I think about it the more it seems that in the Torah itself it is all about obligations and I think this is because of something even more fundamental that lay at the core of how Torah sees the world. Simply put, we live in Hashem’s world. We did not create ourselves, we did not create the world we live in, we do not sustain ourselves, or it, every moment of every day. As such, Torah assumes our existence is for a purpose which transcends our individual, all too temporary, lives. Our entire existence serves someone and something else – be it God, Divine Justice, Jewish Destiny or any other divinely inspired ideal. Therefore, a person’s life ought to be driven by gratitude and servitude. Our entire lives are expected to be one, long, continuous “thank you”, translated into a “what am I supposed to do”. All of this is the antithesis to some of the most foundational concepts of Western Civilization, as they developed since the mid 17th Century through the enlightenment, all the way to today with the emphasis of natural rights and the autonomous man. I do believe that these were important ideas and key developments within Western Civilization which have benefited the world greatly and even that some of them stem from Jewish and scriptural influences. But, just because these concepts helped free Western Civilizations from the tyranny of the church, of the Monarchy or the Feudal System, doesn’t make them theologically correct and definitely not necessarily for every era and community. I do think that when we come to Chazal’s world – the oral law and the world of Halacha – we do begin to encounter something similar to rights but the fact that in Torah itself we do not, rather only encounter obligations, outlines the fundamental outlook of Torah as being diametrically opposed to what has become the theological and political paradigm within which we live. I realize that saying that we do not believe in rights sounds troubling. I’m not saying that on a practical level no one has any rights, rather, that when we come to think of how these discussions and debates fit with Torah we need to realize that Torah has a completely different outlook on the human condition and is coming at these questions from an entirely different perspective. I have found this line of thinking and argumentation extremely powerful when considering the topic myself or discussing it with others. It doesn’t just ‘win by points’ by arguing against a specific point, rather, it offers a completely different moral – and theological – outlook at society and the human condition. And one need not necessarily accept the Torah’s outlook as I have outlined it to understand that attacking Torah based on the individual rights conversation doesn’t make much sense, considering the different world view. Whether a person chooses to prescribe to the ‘rights conversation’ or the ‘obligation conversation’ is entirely up to them but it is important to realize the significance of that choice and the different types of societies each of them envisions and aspires to. I do think that, many times, Halacha can come to the same practical conclusions as those led by the individual rights conversation but I think they arrive there in a very different way, which makes all the difference. (I hope to share some examples of this in the near future). I’d like to conclude this long train of thought with the famous opening of the Mesilat Yesharim (Path of The Just): “The foundation of piety and the root of perfect service is for a man to clarify and come to realize as truth what is his obligation in the world and to what he needs to direct his gaze and his aspiration in all that he toils all the days of his life”. One of my greatest loves is old books. Over the years, I have collected a nice amount of old books on various Jewish topics, though I haven’t had a chance to read all of them yet. Last week I came across one which, upon picking it up, realized was waiting for the events of this past week to occasion itself upon me. It has profoundly affected my perspective on the events we are living through these days. In 1925, Leonard Stein – of London England – felt the need to write “an objective account of the Zionist Movement”. The book, simply named “Zionism”, includes 7 chapters covering topics such as “The Origins of Zionism”, “The Jews in Palestine 1880-1914” and “The Balfour Declaration”. It is a short but fascinating read, as it provides a portrait of Zionism in its infancy – before world world 2, before the Holocaust and before the establishment of The State of Israel. In reading through the book I found 2 of his themes extremely relevant and important for gaining perspective on what is unfolding in Israel these past few weeks. I’d like to share them with you, as I feel that both points are sorely missing from the general conversation, especially outside Israel. Point 1 – What is at the center of it? Already in the Balfour Declaration, immediately after stating that “His Majesty’s Government view with favor the establishment in Palestine of a national home for the Jewish people and will use their best endeavors to facilitate the achievement of this object”, it goes on to state “nothing shall be done which may prejudice the civil and religious rights of existing non Jewish communities in Palestine”. “(the Jews) have from the outset recognized the Christian and Muslim Holy Places as sacrosanct and inviolable. They indignantly repudiate the injurious and wholly unfounded suggestion that they desire to trespass upon them or to claim any voice in questions relating to their maintenance or their custody”. These are just a few examples, among many others, that demonstrate the degree to which the questions of the Holy Sites was at the center of attention – and contention – from the very beginning of Zionism. It seems that the deepest fear – nationally and internationally – had to do with the status of the Holy Places. It would seem that it has always been, to some degree, about the Holy Places and what they symbolize – the right to both the land of God and possibly even the right to God himself. We seem to be witnessing the boiling over of an issue which, for many, many years, we skirted under the rug. It began to resurface following the six day war but has become an increasingly hot issue in the past 10 years. It seems we can no longer hide from taking a stand on what Har HaBayit means to us, not only as a futuristic concept, but what it means to us here and now. We are just now realizing that, at least for the Arabs, it has been at the heart of the conflict this entire time and the dots are now being connected between the Temple Mount to every other area of the country. The longer we wait to take our own stance on what Har HaBayit means to our national identity and to Modern Zionism, the more ground we will lose and the greater the price we may be forced to pay, as we seem to – finally – have reached the heart of the problem. I can’t say I have the answer to the question I am posing – “What does, or should, Har HaBayit mean to The State of Israel?” but am just identifying that we find ourselves now forced to form an answer. Evidently, Hashem feels we are ready for it. …Nevertheless, Palestine stands out as the one country in the world in which Jewish immigrants have in principle an assured right of entry under an international guarantee. But this is not all. Palestine is much more than one among other conceivable places of refuge. Palestine is not merely a country: it is an idea. The Jews… see in Palestine the symbol for their will to live. It is in Palestine that the Jews see their opportunity of making their distinctive contribution to the common stock. Here is a derelict country in which everything remains to be done. Let the Jews rebuild it; let them reclaim its wastes; let them develop its neglected resources; let them make it a model of a healthy and well ordered society; let them give it a place of its own in the world of thought and learning. Then, indeed, they will have triumphantly vindicated themselves as a constructive force. Thus what the Jews are doing in Palestine is to translate spiritual values into terms of economic reconstruction. And in another profound sense the Jews, in redeeming Palestine, are redeeming themselves. Palestine stands, in their eyes, not only for self respect, but for self expression. It is not merely a derelict country waiting to be restored: it has a magic of its own. In Palestine, just because it is Palestine, Jewish life has a distinctive quality and is keyed too a higher pitch. During the past 30 years, the devoted labors and the lavish expenditure of the Jewish Colonization Association have enabled about 30,000 Jews to settle on the land in Argentina and Brazil. So far as it goes, this is a valuable piece of work. But the 30,000 colonists have created nothing beyond their farms. They have not made the smallest impression upon the Jewish world at large; nor has anyone ever suggested that “from Mauricio shall go forth the Law the Word of the Lord from Entre-Rios”. Very different, as has been seen, are the results and the prospects of Jewish colonization in Palestine. The contrast is illuminating. 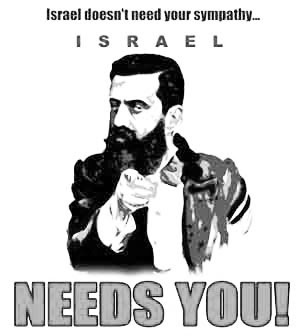 The Zionists are under no illusion in believing that in Palestine, and in Palestine alone, it is possible to build up a many sided and self relient Jewish society which shall be a true reflection of the Jewish genius and a living embodiment of Jewish ideals”. O, how wrong he was about his first prediction and how correct he was about the second one! How wrong he was that “there is little likelihood of… making them an actual majority”. From a marginal minority in the land we have become not only the decisive majority but the also the full sovereign. And how right he was that “in redeeming Palestine we are redeeming ourselves” and that we have “translated spiritual values into terms of economic reconstruction” and “made a distinctive contribution to the common stock”! These words of inspiration form 90 years ago, serve as a reminder of everything that has been achieved in the past 90 years; how far we have come and to what degree the dreams of our forefathers are being realized in front of our eyes. I share these words not only as a way of staying optimistic in the trying times we are in but in order to put into perspective the lives and deaths of the murdered. All of the hopes reflected in the above passages, which have been realized in the past century did so through people like Rabbi Eitam and Na’ama Henkin, Rabbi Nechemia Lavi and Aharon Benita. Rabbi Eitam and Na’ama Henkin were murdered as representatives of the continued Jewish efforts of settling the Land of Israel. Rabbi Nechemia Lavi was murdered as a representative of renewing Torah study – Torat Eretz Yisrael – in the wellspring of Jewish inspiration. Aharon Benita was murdered as a representative of protecting the land and people of Israel. Many others have been injured – as representatives – for reinforcing our connection to the old city through Tfila, or as our representatives for going to the the store or mall, all of which strengthen the connection of Am Yisrael to the land, people and destiny of Israel. And they were not just representatives, they were our representatives. They were representing us when they were doing all these great deeds and they were representing us when they were murdered. We mourn the loss of the individuals. We mourn the lives cut short. We mourn for the widowed and orphaned. We mourn for our own great loss. But, we must not mourn them as victims of random acts of hate and antisemitism. We must mourn them as soldiers on the field of battle; the great battle of the return to our homeland, the return to ourselves as Hashem’s people. Just as we mourn the horrific death Rabbi Akiva but, at the same time, allowed it to instill within us perseverance, faith and even inspiration – so too we should do in our current mourning. They were all soldiers in the great awakening of the Spirit of Israel which has already achieved so much and cannot be stopped כי ה’ דבר, because God has spoken! Years ago, I was contemplating taking a summer job working with Jewish American teens in the US. Even though it was a fairly simple summer job I none the less debated whether it was the right “path” to take or whether I should invest my time and energy in educational endeavors in Israel. When discussing the issue with one of my rabbis, he asked me why I wanted to go. I answered that it would allow me to teach and promote a stronger relationship between American Jewish kids and The Land and State of Israel and therefor promote Aliyah (immigration to Israel). He responded that, “though indeed that is the only legitimate reason to leave, logic dictates that for that exact reason you should stay in Israel”. He explained that the largest waves of Aliyah have not occurred due to the educational efforts of individuals, rather due to large scale changes in Israel its elf; the settling of the land during the first decades of the Zionist movement, the establishment of the State of Israel, the Six Day War and the financial boom of the 1990’s. “If you really care about American Jews and want them to come to Israel – stay here and make Israel better”. When I asked “what about the meantime; what about all the Jews who will be lost – intermarried and assimilated – between now and the time when Israel can just draw them in?”. He looked me squarely in the eyes and said: “that’s not your problem”. With time, I learned that my rabbi’s answer, which shocked me at the time, was simply an expression of a deeply seeded approach towards world Jewry. In order to best explain what I mean by “The Legacy of American Judaism”, though, I need to present several prefaces. For the past 50 years we find ourselves in a situation that has occurred only a small number of times in Jewish History, where the overwhelming majority of World Jewry is concentrated in 2 major centers. It’s happened with Israel and Babylon during the 3rd to 5th centuries, with Spain and Ashkenaz (Germany and Northern France) during the 12th to 14th centuries and (one could argue) again with Eastern and Western Europe in the 17th to 19th centuries. Each one of these distinct communities has uniquely contributed to the development of the Jewish People. Be it through major creativity in the development of Torah scholarship, major societal changes or new movements within Judaism. Though none of these locations continues to serve as a center for Jews or Judaism – Israel being the obvious exception – they have left rich legacies, deeply and forever embedded in the communal Jewish identity and existence. Consider America Jewry. When in Jewish History has there been such a large concentration of Jews for so long a period of time? Jews have been living in America since 1654, when a group of Jews fleeing Recife, Brazil – in wake of the Portuguese invasion – requested and were granted entrance into New Amsterdam. Soon after, in 1678, they established a Jewish cemetery and in 1695, a Shul. 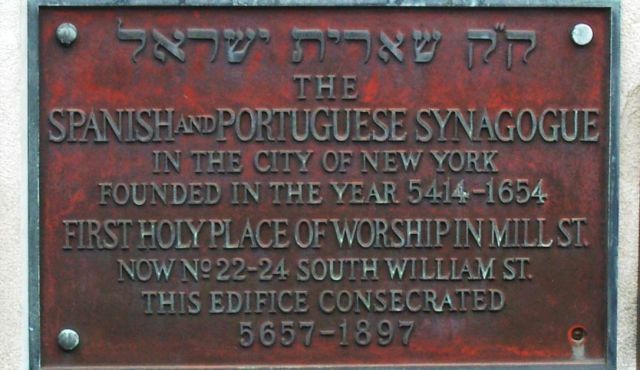 By 1730 the young Jewish Community had built the first Shul in America – She’erit Yisrael. 100 years later there were approximately 2000 Jews living in 5 different cities – each with their own community and Shul. 100 years later, numbers swelled to approximately 200,000 and so on after that, with the waves of mass immigration and the end of the 19th and beginning of the 20th centuries – millions. For over 350 years, the Jewish Community in America has grown and flourished becoming one of the largest Jewish communities in history, numbering today anywhere between 5.5 to 6.5 million (depending on who and how you count). Furthermore, the Jewish Community has integrated so deeply into the story of America itself that one could easily identify the truth in the revealing words of American Vice President Joe Biden that “Jewish Heritage is American Heritage” as well as the words of President Eisenhower who, in describing the intent of the founding fathers, identified the American Government as rooted in “The Judeo-Christian concept“. One cannot deny that in our generation we are once again experiencing this “dual center” phenomena – Israel and the US. Throughout my life, growing up in Israel, I was taught to think of America solely as ‘Galut’ (exile) and of American Jewry as divided into two groups – those who will, sooner or later, make Aliyah (immigrate to Israel) and those who will intermarry and completely assimilate. There was no third possibility. The logic of this thinking lay in a deeply rooted theological belief that the divinely orchestrated and miraculous survival of the Jewish People throughout the long and dark exile was necessary due to Jewish statelessness and powerlessness. Now that, through divine providence, we have returned to Israel – to sovereignty and self rule – the divine protection of the Jewish People is no longer necessary or justified, as the purpose of that very survival is now coming to fruition in Israel. The Jewish Collective has been reborn, making protection of Jewish identity outside Israel not only unnecessary but even counterproductive. As I became increasingly exposed to the various facets of American Jewry and the degree to which America and “its” Jews have become intertwined, I began to think about the issue differently. To best explain my personal paradigm shift I will use an important Israeli example – the attitude towards secular Jews. The classic Charedi (ultra Orthodox) approach has always been that of the “empty wagon”. Enlightenment, Secularism and heresy are not things of substance, rather, are an absence of faith. They are foreign influences which should be categorically rejected. Traditional Judaism, on the other hand, is the “full wagon” as it is filled with thousands of years worth of faith, heritage, traditions and way of life and when two wagons meet on a narrow path, the empty wagon must give way to the full wagon. The response to Secularism, according to this approach, has been to see no value in what the secular world had to offer. At best, they were willing to fill the ’empty wagon’ with the contents from the ‘full wagon’ but it was absolutely a one way street (or is at least proclaimed as such). The second approach, that of Rav Avraham Yitzchak Hakohen Kook, identifies the events of history – first and foremost those of the Jewish collective – as one of the primary tools through which the Will of the Divine Providence appears. Enlightenment, Secularism and heresy are things of substance meant to advance, cleanse and purify the Jewish People (and through them the rest of the world and humanity). Though Rav Kook acknowledges the damage such phenomena may bring in their wake, he sees them as temporary collateral damage, similar to those of growth pains or even childbirth. As a consequence, Rav Kook’s approach towards secularism and secularists was one of inclusion, focusing less on the “exterior” of what was being verbalized and more on the internal process these elements were serving – the rebirth of the Jewish Collective in the Land of Israel – the third redemption. In many places in his writings, Rav Kook analyzes the processes that were taking place in his time and that would shape the future. He focused on the complex ambivalence towards individuals and groups who – in speech and action – seemed far from traditional Judaism but would ultimately realize and identify that the ideals in whose name they have been working so hard and in whose name they were rejecting traditional Judaism, can – and should – be realized through traditional Judaism itself. It is “our” job to identify and expose the “sparks”, the correct, positive and even divine elements of these social, political and theological phenomena, allowing the secularists to “find their way back” to traditional Judaism. 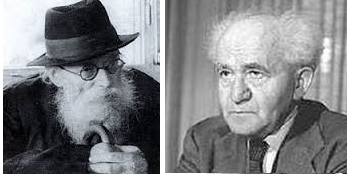 This approach of Rav Kook has, for decades, served as the primary theological approach of the Religious Zionist movement in Israel resulting in a positive approach and full cooperation with secular Zionism. Varying degrees of ambivalence towards individuals and individual actions continued to be an inherent component of the Religious Zionist philosophy. (The fact that this approach was patronizing, to say the least, did not escape the Religious Zionist community’s attention but did not detract from the conviction of its truth). As the decades went by since Rav Kook, it became increasingly troubling that the expected “return” to traditional Judaism had not taken place. The majority of Jews in Israel were secular and seemed very comfortable with the idea. Things were made worse when not only did Religious Zionism not seem to gain numbers beyond natural growth, but many Religious Zionist youth began gravitating “out” to secular society. Additionally, as the Religious Zionist community began participating in the political leadership of the state they found themselves ill equipped to deal with many of its challenges. Most of all, though, it was getting increasingly difficult to reconcile the dichotomy between the external words and ideals of secular Israel and the “internal process” of the return to the land and nationhood. Nowhere was this more evident than in the approach of the Religious Zionist community to the question of “Land for Peace”. Ever since the question presented itself – primarily following the six day war – they have been caught between the “inner” process (the return of the Jewish People to the Land of Israel) and the “outer” one (cooperating with the Secular Jews who are, supposedly, fulfilling those same internal goals regardless of what they say and do). Similar difficulties presented themselves in questions such as “Who is a Jew” in relation to the Law of Return, conversion laws as well as the status of Shabbat in the public domain. Reality was not behaving as anticipated and expected. Due to these, as well as several other factors, a fundamental shift and revisiting of Rav Kook has been taking place in the past 15 to 20 years. There is a growing understanding that it is not just a matter of “them” realizing that the truths they hold so dear can – and eventually must – be found with “us”, the keepers of their long lost tradition. There is a growing understanding that just as the re-awakening of the Jewish Collective through statehood and sovereignty require and force “them” to rethink their assumptions and understanding of Judaism, Jewish identity and tradition, it requires no less from us, even if in a different way. The result has been that the past 10 years have seen a significant shuffling in what one could call Israel’s undefined “denominational lines”. Different segments of Israeli society have been searching together for something new, something which encompasses the truth and the best from all worlds and times. The realization has hit that “they” are not “going” anywhere, rather that we are all going somewhere new together. I’d like to suggest that the same is true for the perspective on American Jewry. For decades, the official Zionist approach to all Jews outside of Israel was an accusatory one, expecting them to drop everything and ‘return home’. The rhetoric ranged from emphasis on past, present and future antisemitism to fear of intermarriage and assimilation – cultural and ethnic. As the decades since the establishment of The State of Israel went by, it became increasingly troubling that the expected ‘return home’ did not take place. At least not from the US. For sure, many Jews from around the world came back but most were doing so from countries and societies where their were far worse off than they would be in the State of Israel. Since 1920 until today, less than 150,000 American Jews have made Aliyah to Israel representing around 0.02% of the entire Jewish community in the US. And they seem to be very comfortable with the idea. It does not help that between the years 1948 and today over 200,000 Israelis have immigrated out of Israel to the US, with some putting the numbers at more than double that. Additionally, Israeli culture has been – and continues to be – heavily influenced by American morals, ideals and culture. Most of all, at least for me personally, is the fact that American Jewry continues to not only exist but also to flourish. (I will not get into the question of rates of intermarriage and assimilation as the question is far, far more complex than people make it out to be. Additionally, it is by no means just a question of numbers. Anyone well versed in the study of Contemporary American Jewry knows that though rates of intermarriage grow in the periphery of American Jewry, the “core” is getting stronger. Especially in the past 10-15 years. Those who are choosing to stay, are far more serious about doing so than in the past. This phenomena is true to all Jewish denominations. Additionally, a growing number of even intermarried families are maintaining some relationship with Jewish identity. For those interested, more detail can be found here). The fact that it is possible to live a seemingly full and rich Jewish life, while also maintaining a strong relationship with the State of Israel has been increasingly weighing on my ability to continue seeing all of American Jewry as nothing more that living on suspended time. Once again, reality does not seem to be behaving as expected. Here too, I believe, there needs to be a shift from what “we” need to teach “them” about themselves and Judaism (that it is the best thing for them to come home whether they realize it or not) to a larger question, one that needs to be figured out together. American Jewry is not going anywhere anytime soon. The thought that a community of 5.5 million Jews is not worthy of serious contemplation beyond “they are a passing phenomena” is anywhere between naive and questioning the divine’s guidance of Jewish History. This is not to say I don’t believe that the ideal place for all Jews is Israel. I most certainly do. This is not to say that I don’t think American Jewry will be harshly judged by Jewish History for their “armchair Zionism” rather then joining in in body and not just in heart and soul. I most certainly do. This is not to say I don’t believe that American Jewry is now far, far more dependent on Israel’s existence for the sake of their self identification than the opposite. I very much believe that. None of that changes the fact that American Jewry isn’t going anywhere anytime soon and that, as a community, they have a distinct identity which has contributed and will, for the foreseeable future, continue to contribute to the development and progression of the Jewish People. And none of that changes the fact that there is a growing sentiment that Jewish Identity in Israel has unresolved issues. There are things American Jewry need from us – a home to return to and a national consciousness – but there are things we need from them as well. What are those things? Within the answer to that question, I believe, lay the understanding of the role and eventually, the legacy, of American Jewry. The question goes beyond historical curiosity and touches upon a fundamental question of faith in Hashem’s providence in history. I believe that such a marvelous and possibly unique phenomena in Jewish history must have something important, even vital, for the Jewish future. – Serving as a safe haven from the European destruction through the absorption of approximately 2.5 million Jews between 1880 and the 1930’s. – Support surrounding the establishment and continued success of The State of Israel through both major financial and political support. All these are, no doubt, significant accomplishments which American Judaism should be proud of but I do not believe they will have a lasting impact on the Jewish Collective. Most, if not all, of these events would have taken place regardless of American Judaism’s efforts. Soviet Jews would have, eventually, been let out anyway. The Civil Rights movement would have succeeded even without the high percentage of Jews in it. The State of Israel would have been established with or without their support and so on. These events serve more as internal landmarks for American Jewry itself, rallying points, helping it form and define its identity. Will they have a long lasting effect on Jewish History and on Jewish Identity? Do any of these achievements hold within them a new message or a fundamental development to be shared with and adopted by The Jewish People throughout history? I do not believe so. I’d like to suggest that the answer can be found in something that has permeated throughout American Jewry’s existence so well and that we take so much for granted that it is hiding in plain sight. Tight nit communities have been a trademark of our existence for close to two thousand years. These community structures supplied most all of the needs of their members, including everything from education to welfare to religious services to leisure activities and much more. The communities served as both a protective shield from a hostile world as well as a societal “green house” allowing for religious and cultural existence and growth. Both Jewish centers – Israel and the US – presented a shift in this age old model. Whereas in the past Jews had no choice but to live in insular communities due to persecution and various levels of antisemitism, in the US – possibly for the first time in over 1500 years of exile – Jews were free to live how they chose while being fully accepted into the general population. The freedoms given to Jews from the moment they set foot on American soil and have accompanied them ever since, have created a Jewish Community which very well may be completely unique in Jewish History. This has resulted in a Jewish Community based purely on volunteerism. No external coercion – in the form of discriminatory laws, physical harm or foreign religious persuasion – have been part of the American Jewish experience. American Jews are free to choose if and to what degree to be, feel and act Jewish with no repercussions beyond their own private lives. Put otherwise, what is amazing is not that so many Jews in America have intermarried and assimilated. What is amazing is that so many did not! rather, they chose – despite having no coercion of any kind – to remain connected to their Jewish identity and tradition. In Israel, on the other hand, Zionism sought to do away with the “exilic” model of the Shtetle and replace it with the national identity through sovereignty of a people in its land. What need is there for the Jewish Community when a Jewish State exists? The State of Israel saw itself as responsible not only for the safety and economy of the Jewish People but also of Jewish identity. This included not only religious services such as Shuls, Jewish Education, Mikva’ot (ritual bath houses) and Kashrut, all of which were now funded by the state but also general culture, community centers, language and even sports. The feeling was that there is no longer a need for the smaller societal circle of the community. The single individual and The Nation were to be enough. Except, they weren’t. In the past 20 years we see Israel experiencing a dramatic return to the communal model. A plethora of organizations, institutions and initiatives have been popping up throughout the country recreating the community dynamic. Examples include such things as the establishment of many small Yishuvim in the Negev and the Gallil, catering to various “specialty” forms of living, such as environmentalism, religious diversity or even the arts. Private and semi private schools, focusing on various specialty educational models, are an growing phenomenon. People are willing to pay large amounts of money to have their kids part of these separate school communities, despite excellent options in the public system. To be clear, these do not refer necessarily to religious schools, rather to schools which serve as a response to demand by the general public. Other examples for the return to the communal model can be found in the many lay learning groups, social communes and city “Kibbutzim” so prevalent in recent years and even in the speed in which people find themselves joining social network groups and forums devoted to various causes. All these phenomena demonstrate the degree to which people are no longer looking exclusively to the State or society at large for a sense of identity. There is a need for an intermediary circle, larger than the individual but smaller than the nation for a person to discover and express themselves. Based on all this, I’d suggest that the legacy of American Jewry is the communal and congregational structures within a pluralistic and liberal society that can then be transplanted to the framework of The Jewish State. Imagine an entire nation having a deep rooted sense of “if I don’t take responsibility for my own Jewish identity – no one will” coupled with the safety net of living in a Jewish State which promotes Jewish life and values through its mere existence and where there is not even the possibility of any real assimilation and persecution. What was (and remains) for American Jewry a method of survival can become the tool through which The Jewish People – as an independent and sovereign society in the State of Israel – launch forward to a much richer, much more comprehensive Jewish life, penetrating through all levels of identity – the individual, the communal and the national. The fact that Israel has what to teach and give American Jewry has been clear and evident for many years and will only continue to grow. But Israeli society is mature and confident enough to recognize that it has what to learn from American Jewry, as well. Continuing to adopt and develop the communal structure in Israel, while translating it to the unique Israeli setting, will not only serve to enhance the Jewish identity of many individuals who are searching for it but will also promote a better understanding of American Jewry, a wider platform for communication and cooperation and – influence. One could only hope that as Israeli society becomes enriched through the “hand-off” of the communal model so carefully protected and developed by American Jewry, American Jewry realizes in turn that a whole new – and far more significant – legacy is only now beginning to form and its promise and potential extend far beyond the here and now and into the realm of the loftiest dreams and yearnings of our people. בינו שנות דור ודור – let none of us be caught on the wrong side of history. What a Jewish Commander sounds like! Colonel Ofer Winter was recently appointed the commander of the Givati infantry Brigade. On July 9th he issued the below command to the commanders and soldiers of the entire brigade. Reading it makes we proud beyond description that we have commanders issuing such statements and entire brigades accepting and being motivated by them. Blessed are the people who these are their commanders and blessed are the people who these are their soldiers! Shabbat Shalom to all of Am Yisrael, The soldiers of the IDF, the Givati Brigade and Colonel Ofer Winter! A tremendous merit has befallen us to command and serve in the Givati brigade at this time. History has chosen us to serve as the spearhead of this battle against the Gazian terrorist enemy who curse, taunt and scorn the ‘God of the battles of Israel’. We have prepared and readied ourselves for this moment and we accept this mission upon ourselves with a sense of complete humility and Shlichut and with the readiness to endanger ourselves and give our lives to protect our families, our nation and our homeland. Together, we will operate with determination and might, initiative and strategy, we will drive to contact with the enemy. We will do everything to fulfill our mission, to destroy the enemy and to remove the threat from The Jewish People. By us, we “do not return without completing the mission”. We will operate and do everything to return our boys home safely. Through use of all our available resources and any necessary force. I trust you, every single one of you, to operate in this spirit, the spirit of Israeli warriors who go forward ahead of the camp. “The spirit whose name is Givati”. I raise my eyes to heaven. And call with you “Shma Yisrael Hashem Elohenu Hashem Echad”. 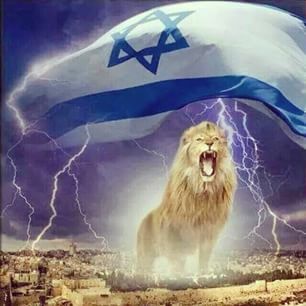 Hashem, God of Israel, succeed our ways which we are about to impart on to fight for the sake of your people Israel against an enemy who defiles your name. In the name of the fighters of the IDF and specifically the fighters of the brigade and the commanders. Make it so the words of the verse will come true for us: “For Hashem, your God, is the One Who goes with you to fight for you with your enemies, to save you”, and we will say Amen. 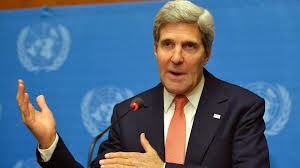 Yitro vs. John Kerry, Advice vs. "Advice"
Be advised that my guest posts on this website are more politically explicit than my usual writing as that is the aim of the site.